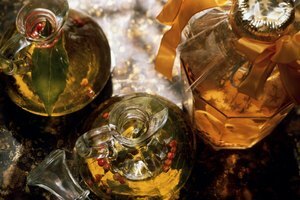 Vinegar has an almost unlimited number of uses, from recipes to cleaning to beauty to health. But while this almost magically useful liquid has been harnessed for human use for literally thousands of years, it can also be harmful or dangerous if it's misused or overused. What happens when you drink vinegar? Well, it depends on the kind of vinegar you drink, how much you drink, and how you drink it. Let's take a closer look. Vinegar contains acetic acid that's made by fermenting alcohol. Apple cider vinegar is created by exposing apple juice to yeast, which turns the sugar into alcohol, and then fermenting the alcohol. 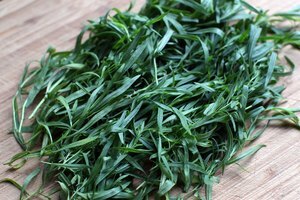 Used primarily in flavoring or preserving foods but also for household and medicinal uses, it's known for its acidic nature and sour taste. Drinking a small amount of vinegar each day or before every meal can have health benefits, several of which have been proven effective by scientific research. However, some alleged benefits, such as that imbibing apple cider vinegar cures diabetes, are either the result of folklore or are not supported by studies involving humans. However, apple cider vinegar has a number of benefits that are based on evidence backed by multiple studies. A number of studies have proven that drinking a small amount of diluted apple cider vinegar before meals can help stop your blood sugar from spiking, even after a high-carb meal. Why? The acetic acid slows the rate of digestion in the stomach and improves insulin sensitivity. How much do you need to take? Take just 4 teaspoons mixed in a few ounces of water before a meal. Talk to your doctor before starting a daily apple cider vinegar regimen, especially if you've been diagnosed with diabetes or take prescription medicines. Having better control of your blood sugar levels can help you lose weight, as can slowing down your digestion process – it makes you feel full longer and can decrease your appetite over the course of the day. However, although studies show that people who drink 2 tablespoons of apple cider vinegar each day (mixed into a glass of water) lose weight, the weight may be only a few pounds over a series of months. Drinking apple cider vinegar leads to more significant weight loss when it's paired with other weight loss programs, including diet and exercise. Polycystic Ovarian Syndrome (PCOS) is a painful hormonal condition in women that can involve menstrual irregularity, excess male hormone levels and obesity. But several studies have revealed that taking a diluted tablespoon of apple cider vinegar daily can help restore ovary function and reduce symptoms. Women experienced greater regularity in their periods and more balanced hormone levels. Even though drinking apple cider vinegar can have positive effects, drinking too much can make you sick in the short term – and have damaging long-term effects on your health as well. 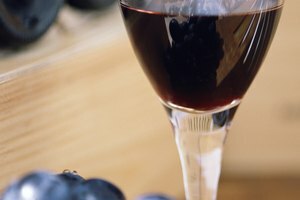 Before you start guzzling bottles of vinegar before every meal, let's review the most common side effects you can get from over indulging in the liquid. Apple cider vinegar has been proven to aid in weight loss and blood sugar management, both because it slows digestion in the stomach and because it suppresses your appetite. But a side effect can be feeling too full, uncomfortably bloated or nauseous, none of which are any fun. In the worst case scenario, it can result in gastroparesis, a stomach condition in which food is emptied from the stomach too slowly, which causes bloating, pain, nausea, heartburn, and loss of appetite. Additionally, it can cause malnutrition and blood sugar issues. If your stomach feel unwell after taking vinegar, it's probably not be the right supplement for you. Like any acid, vinegar can damage tooth enamel, especially if you drink it too much or too often. Just like fruit juices, sodas and other low-pH foods, it can erode teeth and leach minerals, especially over a long period of time. Protect your teeth by using a straw to drink your diluted vinegar, rinsing your mouth with water after drinking it, or brushing your teeth afterwards. If you have concerns, chat with your dentist. There’s some evidence that drinking extremely large volumes of apple cider vinegar daily can have adverse long-term effects on your bones. For example, there's record of a 28-year-old woman drank 8 ounces of diluted apple cider vinegar every day for six years. She was diagnosed with osteoporosis, a bone loss condition that is usually only found in much older patients. The patient also had a significant potassium deficiency, leading doctors to believe that too much vinegar can leach vital minerals from the body. Again, this is only a problem if you're mainlining vinegar instead of taking small, diluted doses. Insulin. Diabetics or others taking insulin (or medicines that affect insulin levels) should know that since vinegar can lower blood sugar levels, taking it along with insulin could result in dangerously low blood sugar levels. Diuretics. Some diuretics lower potassium levels, and since vinegar can also lower potassium levels, using both at the same time can result in dangerously low potassium. Digoxin (Lanoxin). This prescription medication also lowers potassium levels, which, when paired with vinegar, can lead to levels that are too low. What If You Drink Vinegar by Mistake? Poison control centers report a high incidence in calls as a result of vinegar ingestion along with vinegar burns, especially when children find and consume the substance by accident. While the liquid can have health benefits when used in small doses and diluted in water, drinking larger quantities of straight vinegar can burn your mouth and esophagus. Because it can cause burns, vinegar should be kept in childproof containers and out of the reach of small children. Applying vinegar to the skin, getting vinegar in your eyes or aspirating vinegar fumes into your lungs can also lead to painful burns due to the acid content of the substance. If you burn your throat, skin, eyes or lungs with vinegar, seek medical assistance. If you simply accidentally drank a swig of vinegar by mistake and have no troubling symptoms, you don’t need to call a doctor. You may reap the benefits of apple cider vinegar by drinking less of the substance than you might think. Studies show that, depending on why you are drinking vinegar, anywhere from 2 teaspoons to 1 tablespoons, always diluted in water, are plenty. Drinking too much apple cider vinegar – any more than a couple of tablespoons per day – can cause many of the side effects discussed, from irritation to stomach pain to acid reflux to bone and tooth damage. 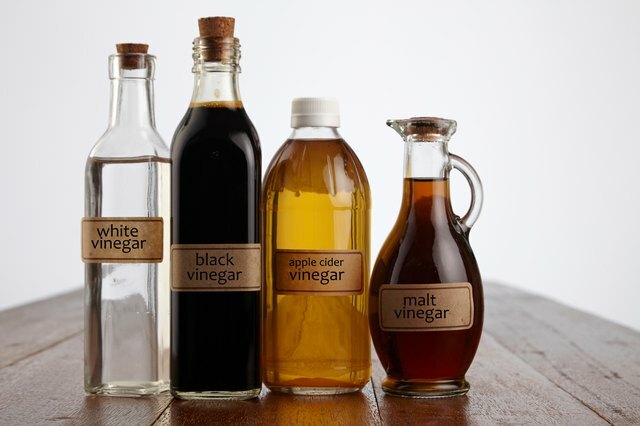 For more guidance, talk to a medical professional about the addition of drinking vinegar to your diet on a daily basis. Some people drink a few tablespoons of apple cider vinegar mixed into a glass of water each morning, while others mix a few teaspoons into a few ounces of water before every meal. The only time you might want to avoid drinking apple cider vinegar is right before going to bed or taking a nap – the acetic acid can cause heartburn if you lie down. Healthline: Apple Cider Vinegar Dosage: How Much Should You Drink per Day?